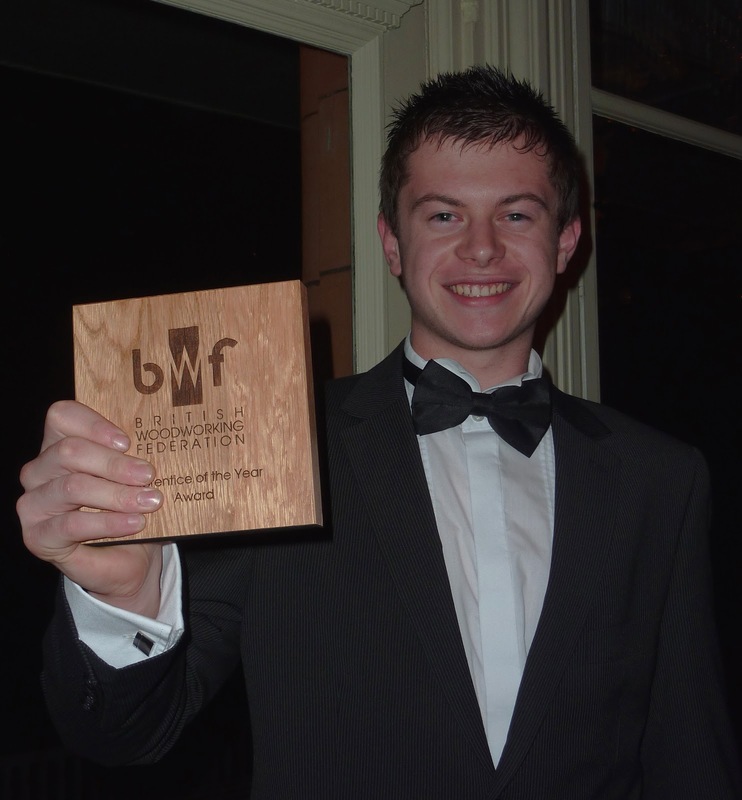 18 year old Chris Lake, apprentice joiner at GS Haydon & Son Ltd in South Molton, Devon has won the prestigious British Woodworking Federation (BWF) Apprentice of the Year Award 2012. At a glittering dinner at Lord’s Cricket Ground Pavilion on Friday attended by UK joinery industry’s most senior figures and business leaders, Chris was presented with his award by Stuart Littlefair, Specialist Manager from CITB-ConstructionSkills which sponsored the award. Chris also received a £150 cash prize from management consultants Lignum Associates. “I’m made up with this award! It was a huge surprise and it’s great to get an award for doing something I really love doing. My uncle is a joiner and I always enjoyed doing some basic carpentry on the family farm as well as at school, so I started looking for joinery apprenticeships as soon as I left school. “Chris showed promise from the beginning, even in the professional manner of his CV. Since he has started with us, Chris has shown an impressive work ethic, the right attitudes and aptitudes. Learning the basics fast, he has quickly moved onto more complex tasks and he is assisting other team members with their work. The BWF WITForum and CITB-ConstructionSkills also gave recognition to the two runners up: Ross Spark of AA Taylor Ltd in Brighton, and Max DeCourcy of Parker & Highland Joinery Ltd in Lancing, West Sussex. Ross and Max were similarly nominated for the award by their employers for their hard work and dedication. The Apprentice of the Year award honours and rewards the success of newcomers to the joinery industry. It acknowledges outstanding achievement, commitment, personal development and the added value that the apprentice gives to the host company.